Lock in a great price for Hotel Condal – rated 8.2 by recent guests! Location, friendly and English-speaking staff. Very happy with our stay here in this beautiful university town! Great location, large room for family, across 24h public parking. Great view of the city from our 5th floor window. 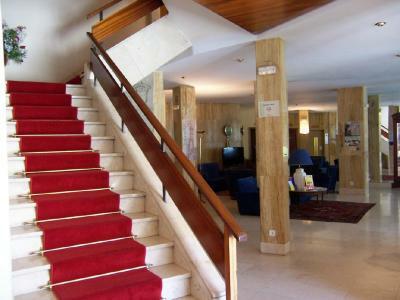 Nicely located close to the Plaza Mayor but away from the concentration of tourists. Great location, very clean, good value, friendly staff. Very basic room for a good price in a central location. The front desk staff were excellent. 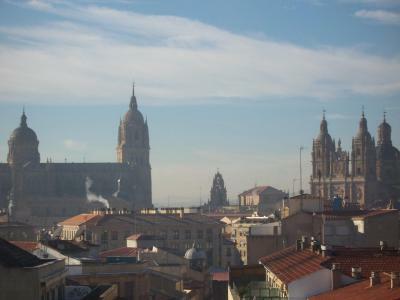 The location is great just 200 meters from plaza mayor. The staff was very nice and helpfull. The breakfeast at 5 euros is great with meat, chease, eags, croissants, Juice, and Coffee. You can drive to the hôtel, park in front and register and then park your car in the underground garage just in frount of the hôtel for 13 euros à Day. Great location. I travel 7 months a year and just love this hotel. It's traditional, the staff are quietly friendly and efficient, and it has a great position. Not luxurious, but everything is reassuringly good. A gem of its type. The location was perfect . Breakfast was good but the hotel needs a renovate..
Hotel was basic and good enough value for money. The lady at recieption was helpful and friendly, though the night clerk was rude. It had all the comforts of home, i really liked the stay at the hotel condal. 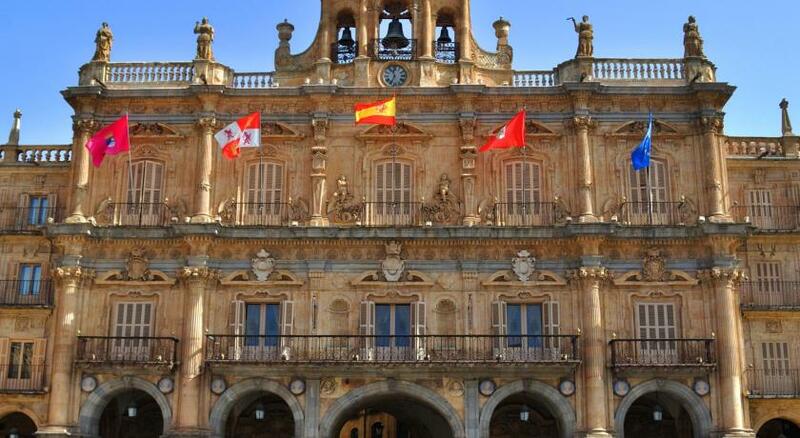 One of our top picks in Salamanca.This hotel is located in the center of Salamanca, a 3-minute walk from the famous Plaza Mayor and the shopping district. There is a public parking available nearby. The simple rooms are well-equipped and offer an private bathroom. Each air-conditioned room has a TV, telephone and free Wi-Fi. Hotel Condal has a café-bar with free Wi-Fi. Numerous bars, restaurants and theaters can also be found in the surrounding area. Public parking is available at a location nearby (reservation is not needed) and costs EUR 13.60 per day. Good accommodation in the centre of town, basic but clean and comfortable. The double bed was too small; the one lift was very small and slow - quite inadequate if the hotel was full. Location was good, near the main centre of the city. The double-glazed window with the shutters was good because there is some city noise which could be disturbing. Breakfast didn't start until 8am _ 7-7.30 would be more reasonable for people leaving early perhaps. This wins on location. Not five mins walk from plaza mayor. Coming from the bus station it was a fifteen minute walk. The hotel was simple, clean and my single room was nice and warm on the first chilly night of the year. No complaints. The walls are very thin. We heard the man next door snoring loudly and lots of movement from other rooms throughout the night. It sounded like furniture being moved and high heels scraping across the ceiling. It spoiled an otherwise very pleasant stay. The hotel is located about 20 min walk from the train station. It is at the beggining of the old town. The room was nice and big enough for two people, clean and the fact that was on the sixth floor, it offered nice view of the town. I did not visited the breakfast area so cannot say if was good or bad. The location is nice and quiet. The bars and clubs are far enough for quiet but close enough to reach them on foot. This hotel scam me for extra 50 euro than advertised. I clearly indicated that I am travelling with my wife but they insisted that the contract indicated max 1 person per room. It amount to false advertize. I think the Hotel is a scam outfit. After paying extra 50 euro we ended up with a small bed room. limited data flow of the WiFi connection, can't get on some common apps. The aircon was a bit unpredictable, but the weather was neither too hot nor cold, so it didn't matter. The room and ensuite were spacious and clean, with a lovely outlook. The ensuite had both a bath and bidet. The breakfast buffet offered good choice and staff were friendly and helpful. It was only a short walk to the old city.